Her smile lights up a room. No matter how busy it gets on a Saturday afternoon in the Adoption Center at North Shore Animal League America, Samantha will make time to answer a question or simply listen to an adopter’s story while cleaning a puppy cage and changing a water bowl. If it means getting homeless animals adopted, she is ready, willing, and able to do whatever it takes. After all, Sami (as her friends call her) is the teen champion of multi-tasking. She plays not one but three sports for Wheatley School, assists with canine adoptions every week for our organization, and maintains a high grade point average in school. Sami, part of the Volun-TEEN program, received the first-ever Rookie Volunteer of the Year Award in 2017 for her willingness to get her hands dirty and help behind the scenes with dogs, cats, puppies, and kittens and her excellence in assisting with adoptions. She also stood out because, in spite of being so busy during her volunteer shift, she keeps the welfare of the animals as her top priority. 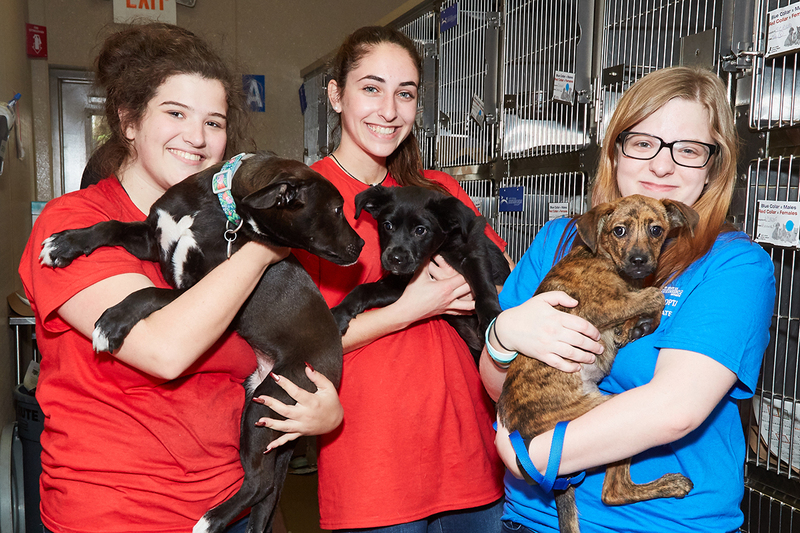 Sami finds her volunteer experience rewarding in two ways: she is able to “help people find their companions to live with and enjoy” and she also just “loves being with the animals.” She believes strongly that people don’t need to buy pets when there are so many animals that need homes. When speaking with potential adopters, she likes to make sure that they are aware of the level of commitment needed to own a pet. “Being a volunteer has taught me responsibility. The animals are in my hands,” she asserts. “I have to make sure they are safe and keep their cages clean.” She credits her interactions with people here as having helped her to hone her customer service skills and deal with the public in a better way. In 2018, she was the highest scorer in girls’ high school lacrosse on Long Island, she has led the soccer team to two state tournaments, and is the captain of the basketball team. This past January, she received a Scholar Athlete Award from News 12 Long Island. 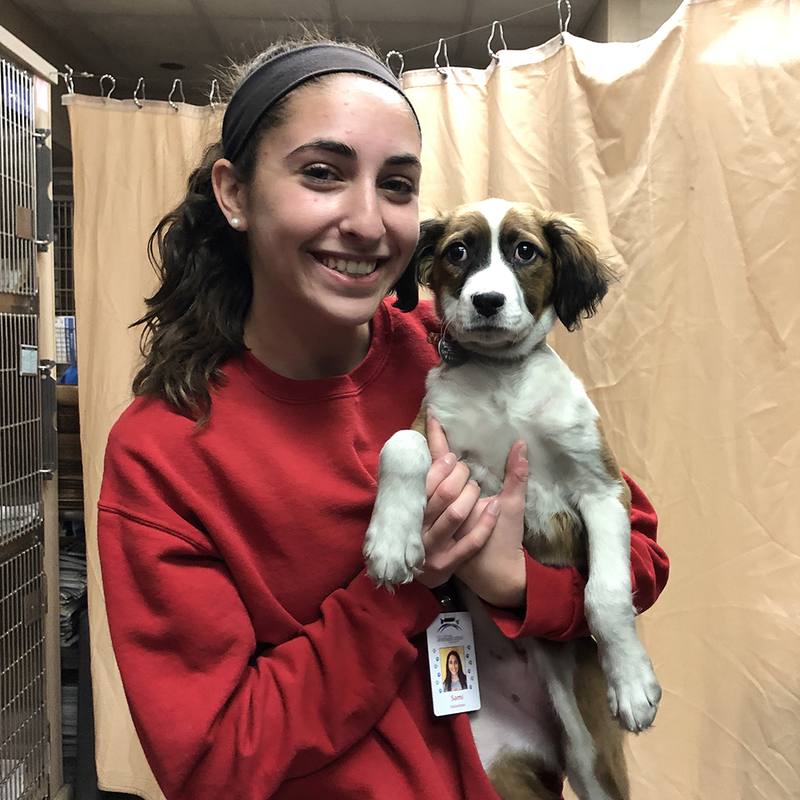 While she will be attending Tufts University in the fall on a lacrosse scholarship, Sami’s dedication to Animal League America and its rescued pets remains strong. She will be continuing on as a contingent volunteer during school breaks and holidays. Staff and fellow volunteers will be happy to still see her smile and adopters will still be able to benefit from her counseling—just not every week.